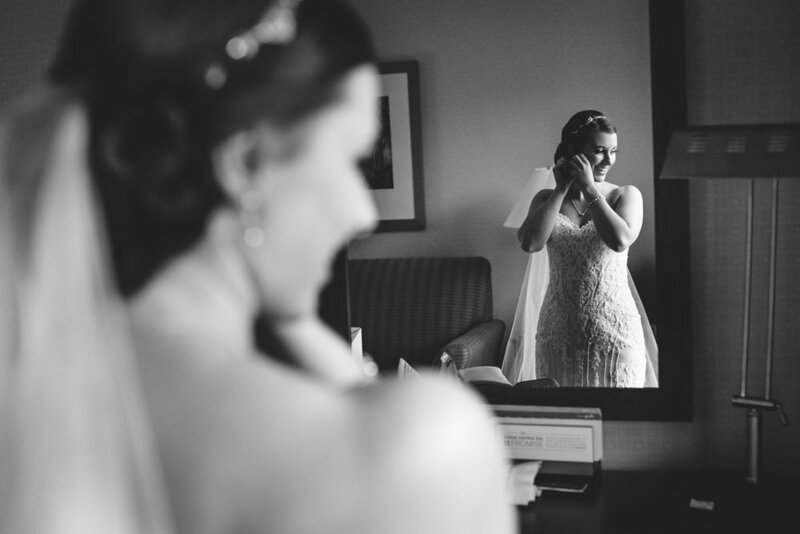 Stephanie & Billy’s Branford House wedding in Groton, CT / Avery Point! Big thanks to Catering by Christine, Flowers from the Farm – Schulze Farm and Mike Orzell as the second photographer for all their great work! Below are some favorites from the seaside wedding day. Some info & history on the Branford House: “Built in the 19th century and modeled after the famous Newport mansions, the Branford House at UConn Avery Point offers an elegant location on the Connecticut shoreline that creates the perfect ambience for a memorable special event. It’s an ideal setting for special moments, beneath a tent billowing with sea breezes as your guests look on and sailboats glide by. A panoramic ocean view; sailboats drifting by; and sparkling lawns – all enjoyed from the patio of a majestic, turn-of-the-century mansion. With its regal entryway, Grand Ballroom, and commanding oak-carved staircase, the Branford Mansion is the ideal setting for your special event. With its beautiful stone façade and warm, hand-carved wooden panel interiors, the Branford House Mansion hosts festive events and gala celebrations year-round. Mingle with guests on the sprawling stone veranda and enjoy dining and dancing in the ballroom. Your family and friends will be charmed by it all – stone terraces, the great room’s two-story marble fireplace, rococo ceilings, a lawn that stretches to the Avery Point Lighthouse, and waves breaking on the shore.